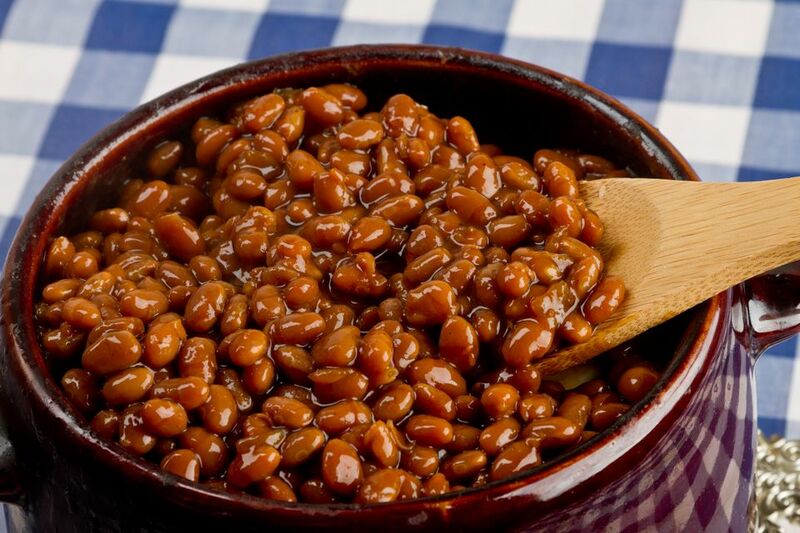 This Crockpot baked beans recipe can be made with dried navy beans, pinto beans or kidney beans. Even though this is a two-day recipe, there isn't much active prep time involved. Which is clearly why we all love our Crockpots and slow cookers so much! Cooking the beans in the slow cooker gives them a wonderful depth of flavor. Serve with burgers, buffalo turkey sliders, hot dogs, BBQ pulled pork, really any barbecue or picnic food. This is a two-day recipe. Day 1 (or the night before you plan to cook the beans in the Crockpot): Place dried beans in a colander. Sort through the beans and discard any stones. Rinse well. Transfer the beans to a large pot. Cover with water. Bring to a boil. Lower the heat and let beans simmer for 1 hour. Turn heat off and let the beans sit on the stove or counter in the water overnight. Day 2: Drain the beans. Transfer beans to a slow cooker. Add the remaining ingredients. Cover and cook on low 6 to 8 hours until beans are tender.